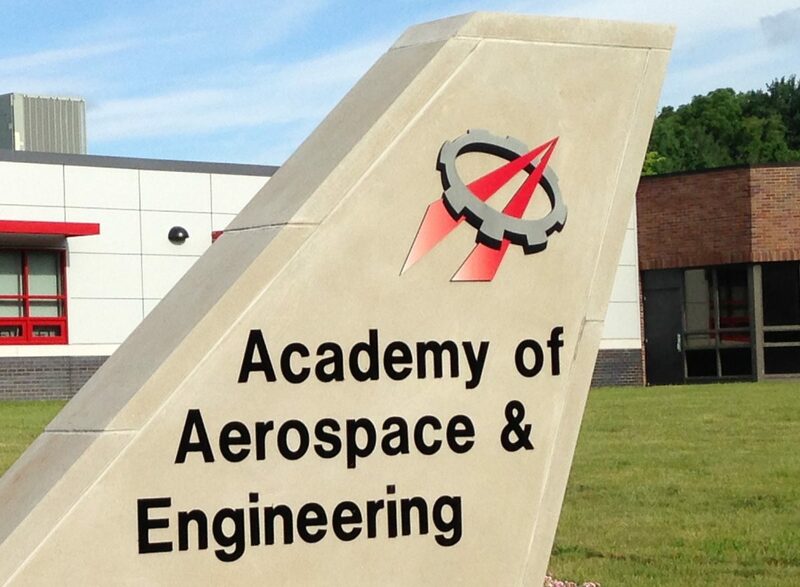 Seven students from the Academy of Aerospace and Engineering competed in the state finals competition at Connecticut Invention Convention on Saturday, April 27th, at UCONN in Storrs, Connecticut. Of these seven, four students earned awards and scored among the top inventors. 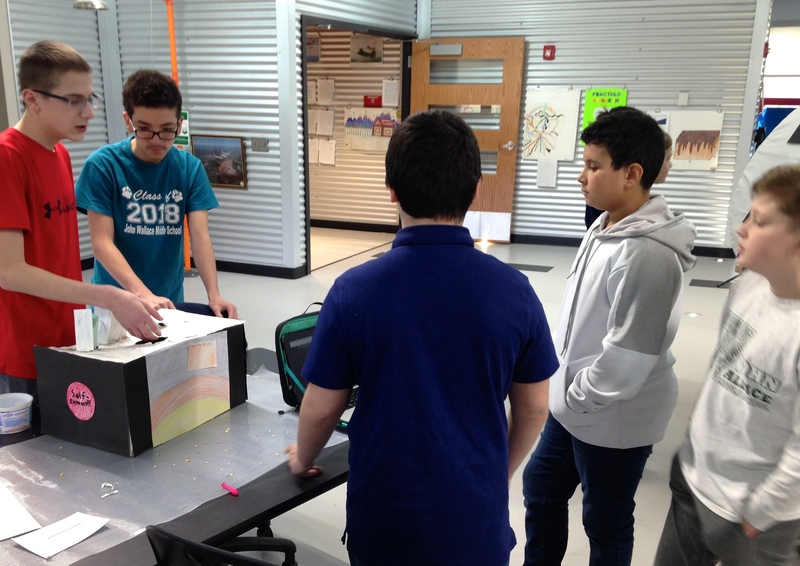 Nevertheless, all seven deserve recognition–there were over 17,000 students statewide that began as competitors in local Invention Conventions, and only about 850 made it to the state finals, or about 5%. 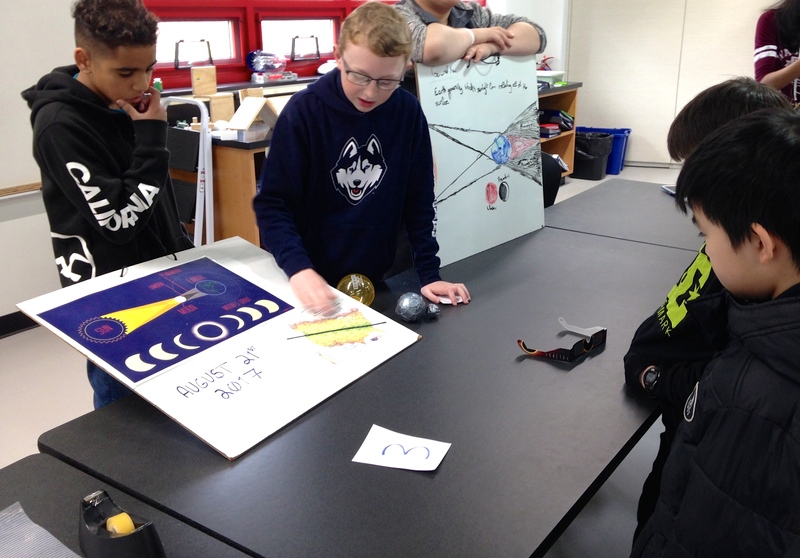 Therefore, as the leaders of Connecticut Invention Convention stated during the opening and closing ceremonies, all of the students present at the competition had showed success in making it there. Ms. Garavel and I are proud of all of them! Julia Remiszewski – Bungee Buckle (bungee cord device to hold swim goggles on better) – Recognized Inventor Award. Jasmine Barber – EasyClean (cube of non-toxic chemicals that clean greasy pots and pans) – Recognized Inventor Award. Alyse Karanian – SolarShade (window shade or blinds that have solar cells to absorb heat and generate electricity) – Connecticut Academy of Science and Engineering Award, Eversource Energy Award, and Stanley Black & Decker Award. Vidhisha Thakkar – Flow Alert (water activated alarm to warn of a flood) – Recognized Inventor Award and Connecticut Academy of Science and Engineering Award. We will know within the next week if any of these students were selected to progress to the National Invention Convention. 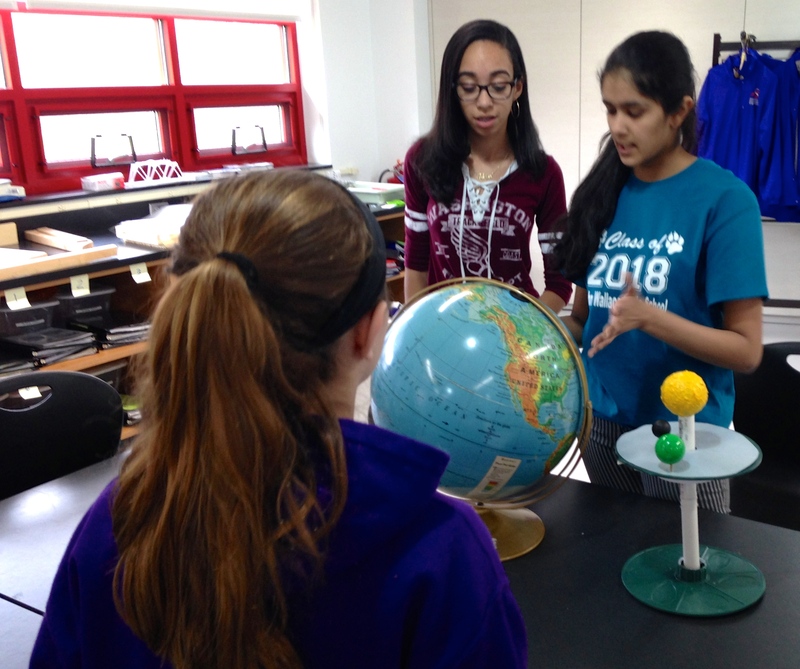 Eighth grade students at the Academy of Aerospace and Engineering are beginning an earth science unit that focuses on the Solar System. 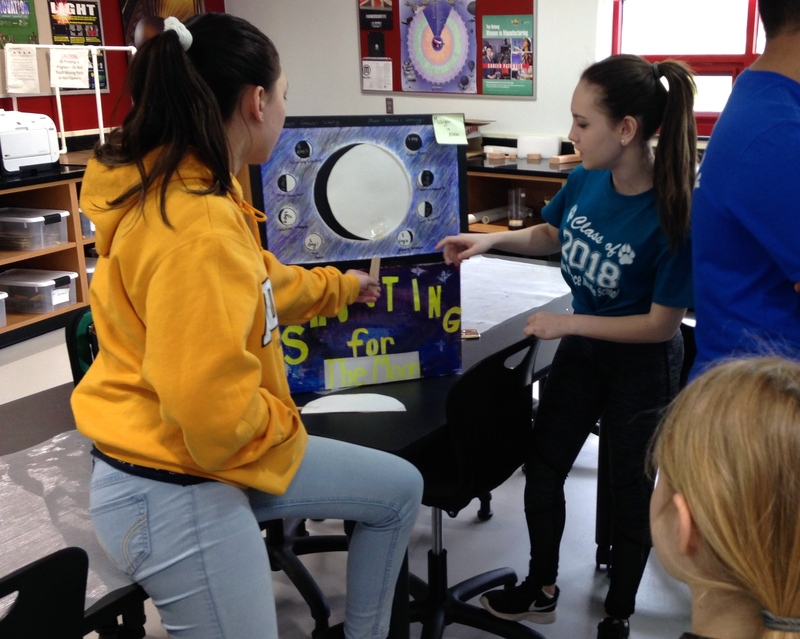 To help them build and reinforce their learning, Ms. Garavel had the students design a series of activities that they could use to teach fifth graders about the Moon. 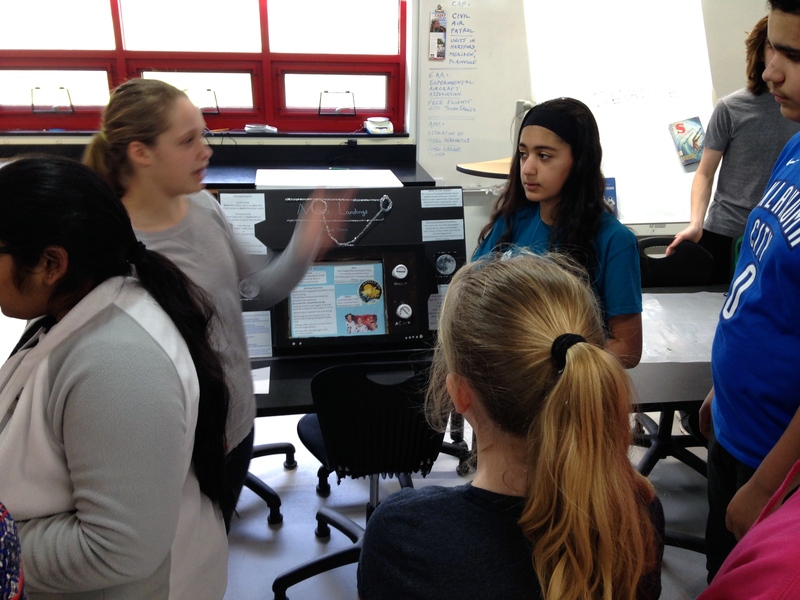 The project required the eighth graders to research a topic, then design a fun way to teach that topic. 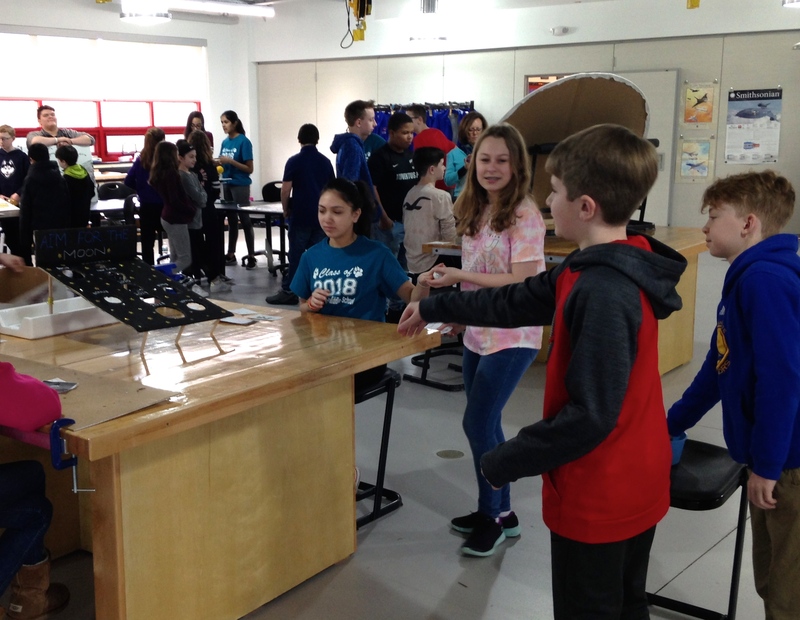 They then hosted a series of fifth grade student tours where the younger students rotated through the activities. All the students agreed the activities were educational and fun. The seventh grade students have also been learning by teaching. 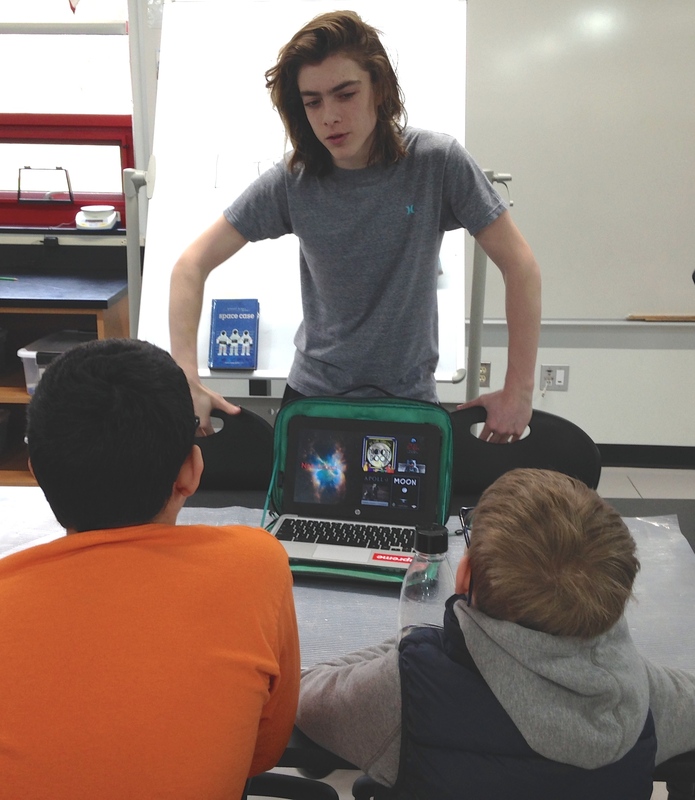 They invited their seventh grade teachers to the academy and taught them how to fly the flight simulators. This reinforced their knowledge of flight, as they had to explain how to operate and control an airplane.